Don’t allow the stress of event management get through you, use the event calendar design that will help you arrange for the events in a better way. 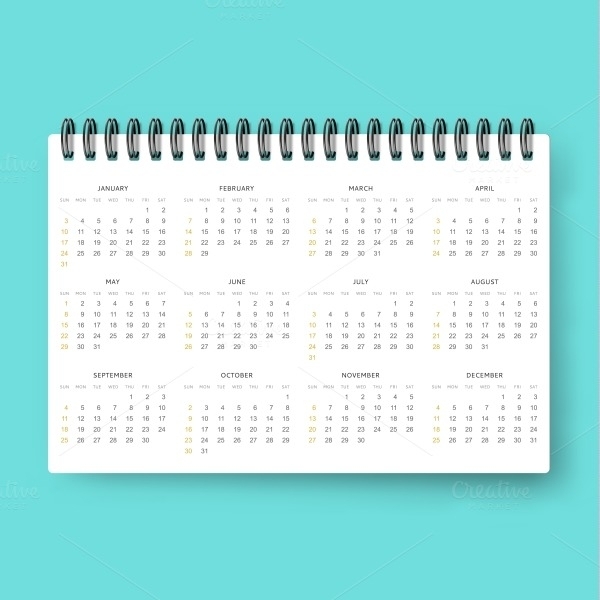 From a simple event calendar to wedding calendar design, there are many calendar designs for your help, all you have to do is get them in time and your work is done. 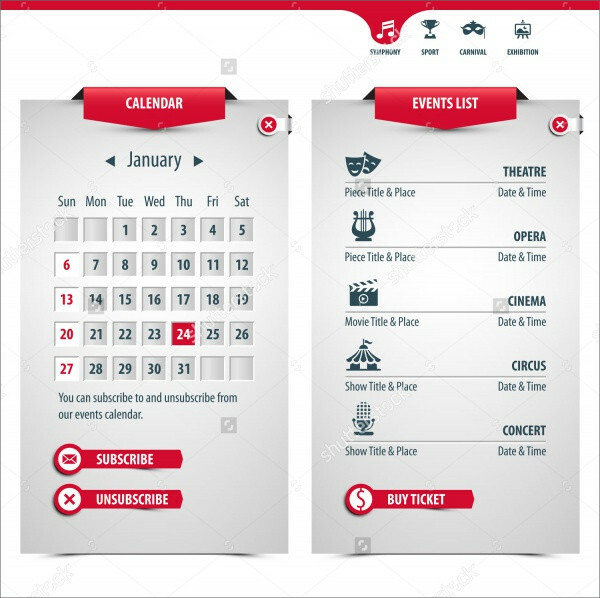 Most of the event calendar design features highlighting feature to mark important days of the event for your reference. You may also check Wall Calendar. Here’s a well-designed festival event calendar design that features bright and lovely colors. It consists of the search bar for planned events and reminder. 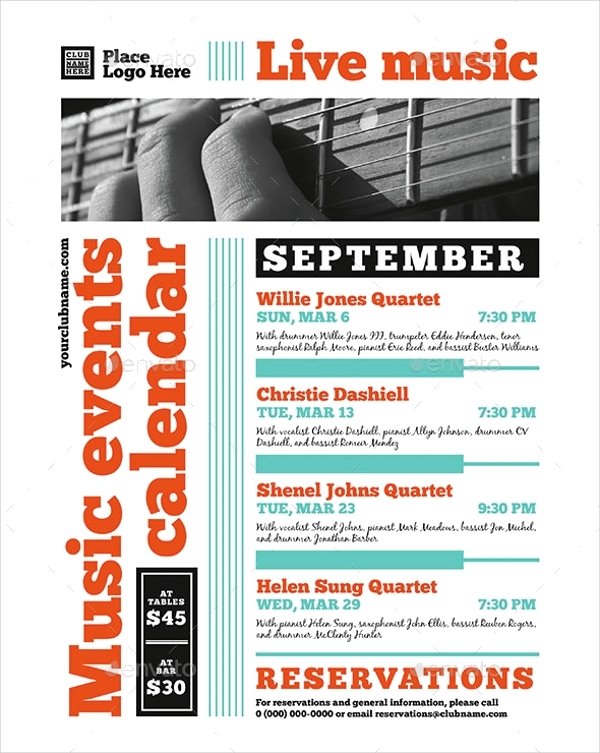 Click below to download this exciting festival event calendar design. You may also see New Year Calendar. This is a professionally designed event exploration calendar design that showcases bright color and other interesting features. It is the best event calendar template, which can help you stay updated about the events time and related details. You may also see PSD Calendar. This is the latest calendar event design that comes with a beautiful outlook of purple and white color. 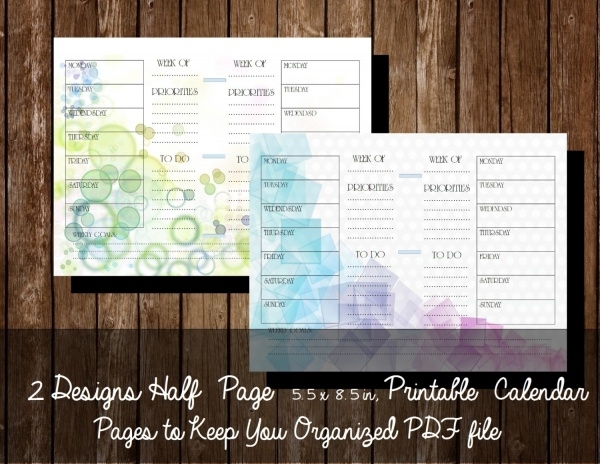 It features easily readable numerals and contains calendar planner option for your help. 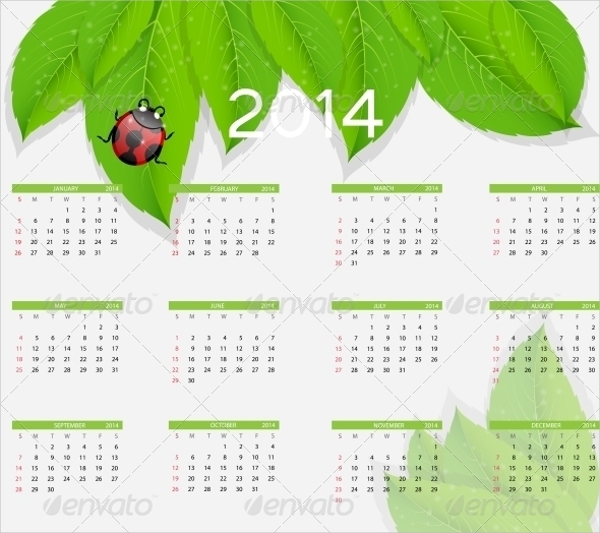 This is a creative calendar design, which is specially designed for music events. 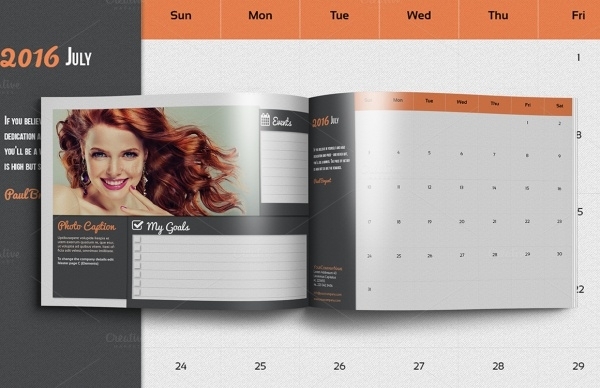 This attractive calendar design comes with easy to customize feature and 300 dpi for a better view. Here’s a lovely event calendar design displaying a beautiful red rose. 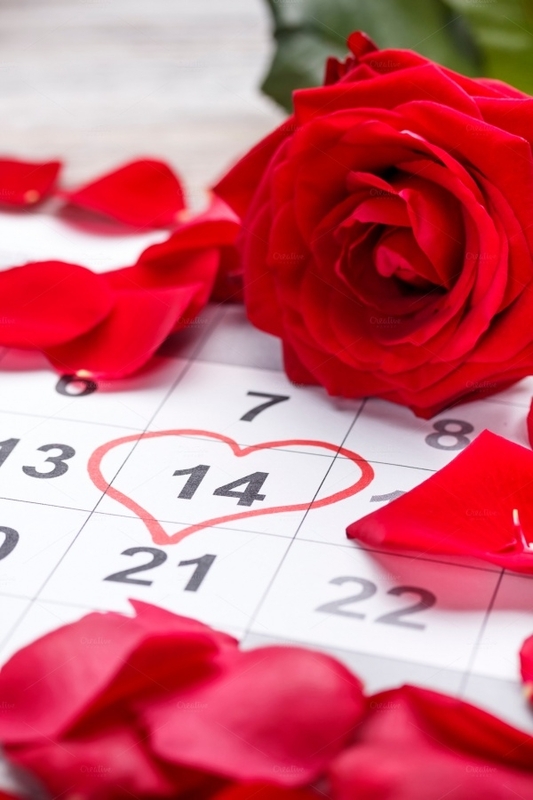 It is an ideal calendar design for the anniversary, valentine’s day or any romantic day. Click below link to download the rose calendar design. Are you looking for a printable event calendar design? 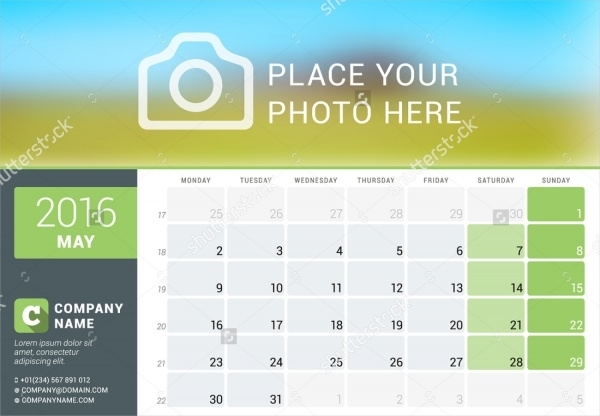 Then you are at the right destination, here’s an amazing calendar design that features placeholder for the photo. Follow the link below to download it in high resolution instantly. Event calendar widget template has it all that you need to be updated about, from window current month and week, general calendar view, two icons, window to add and edit the required task. This is a simple and easily understandable realistic event calendar that will keep you updated about each day, date and month. It is ideal for the designers working for daily event management calendar as it will simply work. 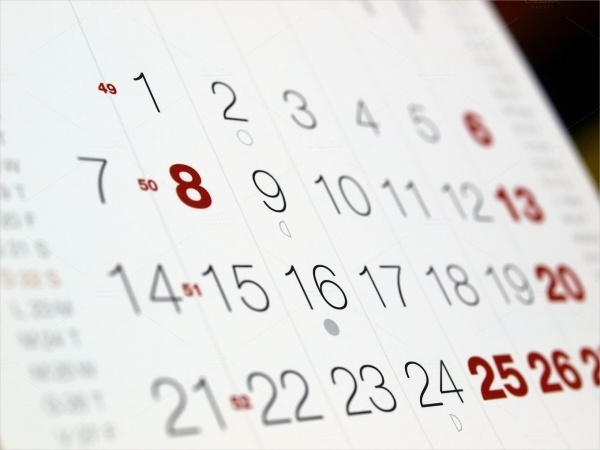 Are you in search for a personal event calendar? Well your search is over here, as this exclusive design can help you manage your events with ease. It is ideal for the event or personal organizer. 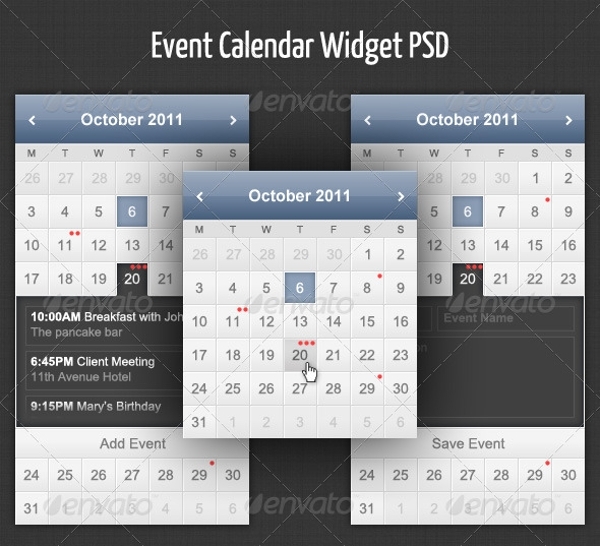 This is a professionally designed multiple event calendar that comes with 11 preset color options. It allows you to make the adjustment to the layers as per your requirement. It showcase white background with highlight marks for special or event day. 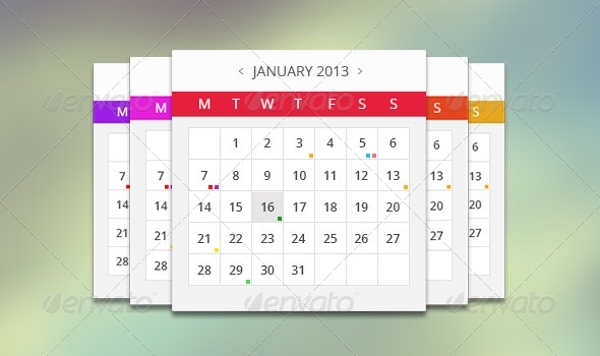 This is a clean and modern events calendar design, which will you keep you on the track of your business progress. It consists of 24 pages with a big and clear view for every month. 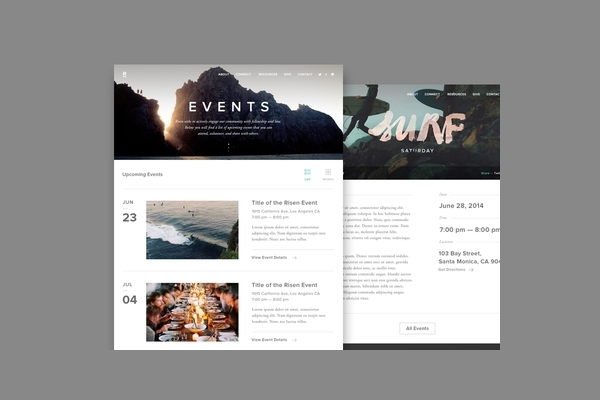 This is a user-friendly event calendar design, which is easy to edit, pixel perfect and customizable. 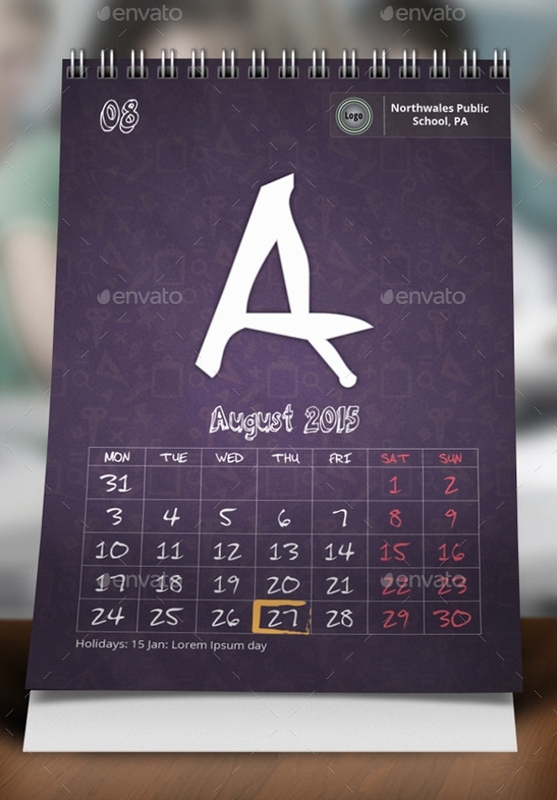 This creative calendar design is an ideal time for application interfaces, web apps, and widgets. Here’s the most popular events calendar, which comes with the icons for the important events. It comes with a high realistic effect for better results. This is an appealing realistic event calendar template that has simple layout and attractive typography for professional and personal use. This is professionally designed wedding event calendar design that can help wedding planners and decors to manage their work easily. 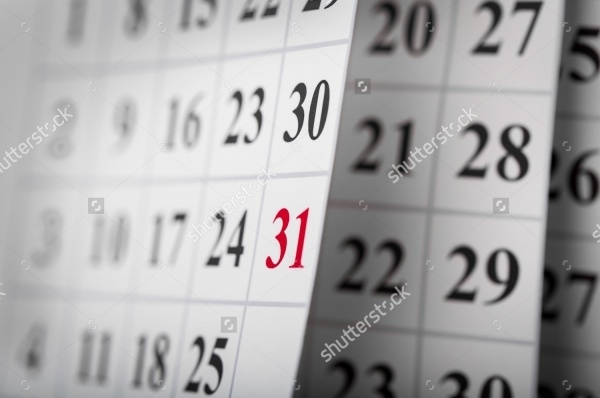 Now, with the availability of these fascinating event calendar templates, you will never miss out on any important event. The birthday calendar templates will help you to wish your friends, family, and colleagues on the right date. 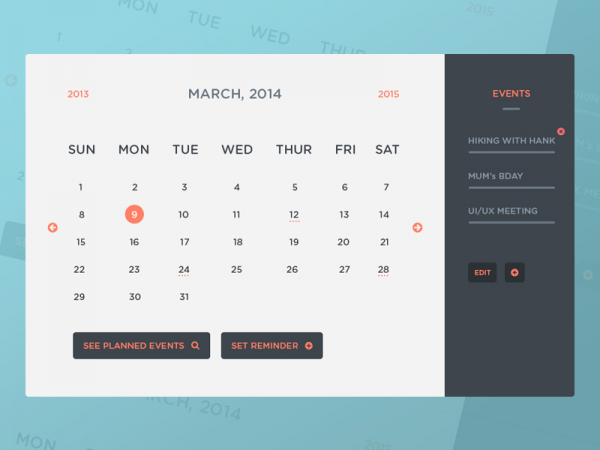 So stop thinking, just get these event calendar templates for your future projects.